This book combines four of the best elements to make an interesting novel: the 90s, rock’n’roll, Portland, and an accidental pregnancy. Andy moved to Portland to escape her conservative parents who disapproved of her being a lesbian. She never thought she would be pregnant, live an almost heterosexual life, until she met Ryan, who changed all that...kind of...Complex characters who don’t really know what they want drive this story, making it a fascinating read clear to the end. A warm, funny, and whip-smart debut novel about rebellious youth, inconceivable motherhood, and the complications of belonging--to a city, a culture, and a family--when none of them can quite contain who you really are. Twenty-four-year-old artist Andrea Morales escaped her Midwestern Catholic childhood--and the closet--to create a home and life for herself within the thriving but insular lesbian underground of Portland, Oregon. But one drunken night, reeling from a bad breakup and a friend's betrayal, she recklessly crosses enemy lines and hooks up with a man. To her utter shock, Andrea soon discovers she's pregnant--and despite the concerns of her astonished circle of gay friends, she decides to have the baby. 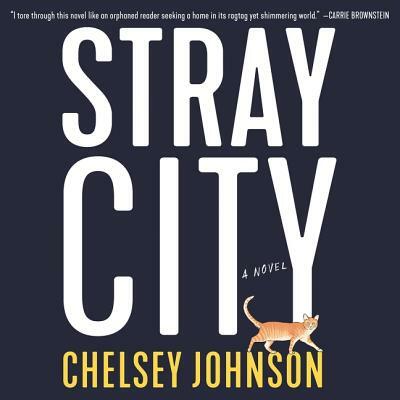 A thoroughly modern and original anti-romantic comedy, Stray City is an unabashedly entertaining literary debut about the families we're born into and the families we choose, about finding yourself by breaking the rules, and making bad decisions for all the right reasons.